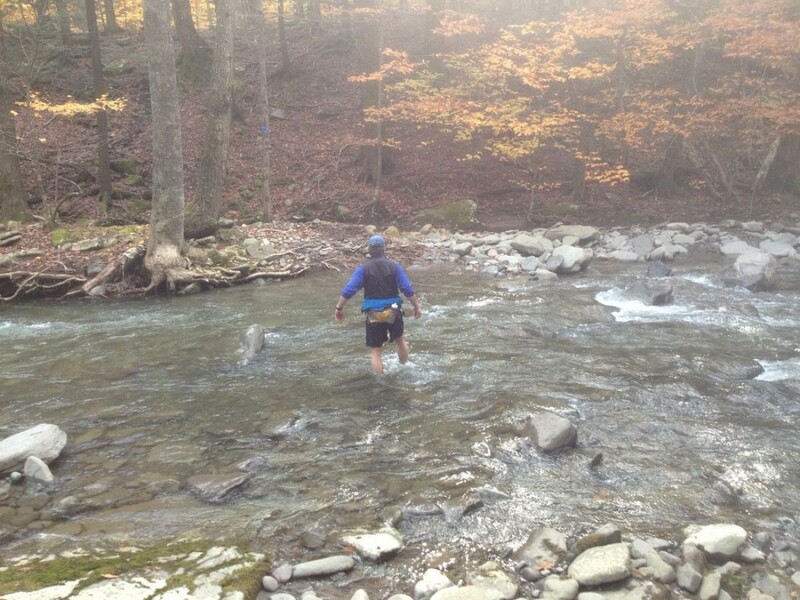 It is a 54 mile ultramarathon through the Catskills beginning in Windham, N.Y. on the northern Black Dome Trail and then mostly following the Long Path from Acra Point all the way to downtown Phoenicia, N.Y. This is a grueling, gnarly, nasty course with approximately 14,000 ft. of climbing, much of it rocky and precipitous. To be sure, there are some runnable sections, but you will more often find yourself hiking uphill or down, sometimes hand over hand. Expect this course to take you much longer than your average 50 miler. That’s why we are allowing 24 hrs. to complete this monster. Because of its remote and difficult nature, there will of necessity be a limited number of aid stations, 8 or 9, and runners should be prepared to spend up to 3 or 4 hrs between aid stations. You will have to be reasonably self-sufficient. To make matters worse, the course gets progressively more difficult as you go along! And to top it all off, the average runner will have to tackle this hardest terrain in the dark.